Sweet and nutritious Yojo to restore your mojo! Many thanks to my friend Julie for giving me this recipe. Two secret ingredients keep this butter-less chocolate cake moist and nutritious. Gluten-free, low sugar and low sodium! This healthy mac 'n cheese swap is packed with protein! 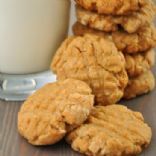 The next time you're craving a peanut butter cookie, don't go out and buy a whole bag, just whip this single serve cookie up in minutes with ingredients you probably already have in your kitchen. This recipe is delicious and easy! My very favorite way to serve Brussels sprouts! Gluten free and dairy free if using dairy-free chips. Turn this unhealthy breakfast treat into a filling breakfast hero with this recipe featuring almond flour, eggs and honey. Get your fudgy brownie fix without the gluten! Delicious chili that is a meal in itself! Can easily be prepared in a slow cooker. 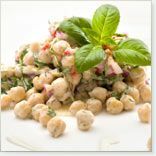 Serve with a salad and pita bread for a perfect dinner. If you are gluten-free like me, you should know how hard it is to find a recipe for gluten-free tortillas that bend without breaking; that are big enough to actually wrap around something; and that taste like flour tortillas! Well look no further... here it is! This is my favorite meatloaf recipe ever! The Quinoa adds extra protein and vitamins. To me the Raisins are an absolute must! These cupcakes are bursting with all the flavor of carrot cake in a perfectly-portioned package. This version of macaroon cookies is reminiscent of the popular Almond Joy candy bars. In this recipe, pineapple replaces some of the sugar for natural sweetness, and egg whites are used in place of condensed milk for a lighter and healthier macaroon. I needed a fast and easy after school cookie for the kids so experimented. Not only did the kids adore it, it has won an award and I am constantly asked for the recipe! Using strips of yellow squash rather than pasta cuts both the carbs and calories in this delicious Italian favorite!